Fire Extinguisher Servicing, With No Hidden Charges. We specialise in supplying commercial and industrial businesses throughout Cambridge and the surrounding counties with the finest in British Standard approved fire extinguishers. As fire and safety specialists, we have access to the highest quality equipment from the industry’s biggest manufacturers, guaranteeing you absolute quality and reliability at all times. British Standards require that fire extinguishers are placed in buildings in easily accessible areas, fire escape routes and areas of higher fire sensitivity. We utilise our extensive experience in the fire and safety industry to take on board your requirements and place them in the most appropriate and legally correct locations throughout your property. 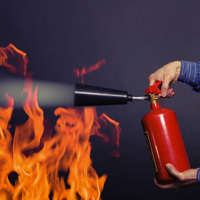 As there are a variety of fires, based on their cause of ignition, there is also a number of concordant extinguisher types (water, foam, CO2 and powder) designed specifically for each cause of fire. This means that the appropriate fire extinguisher is placed in all specified areas of a building. 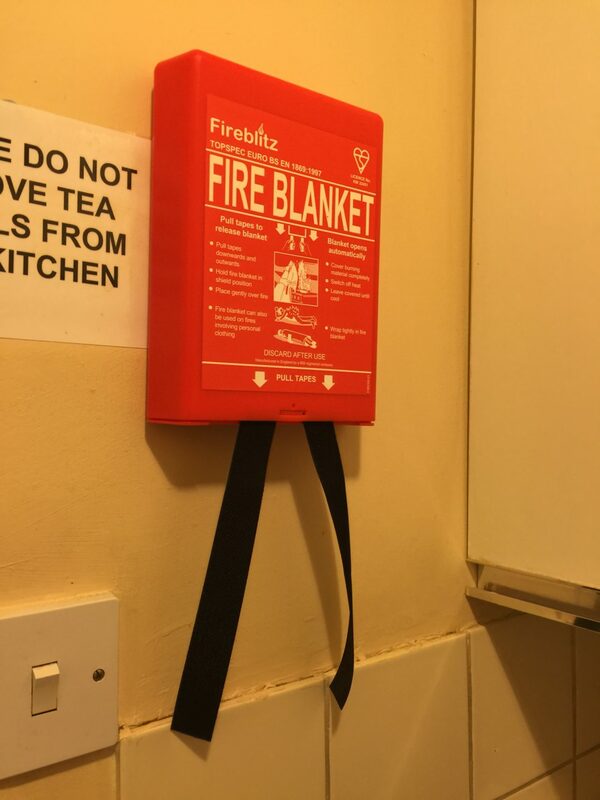 As well as portable fire extinguishers, fixed hose reels can be found in many buildings that give a constant water supply in the event of a fire. British Standard also states that like all fire and security systems, fire extinguishers must be properly maintained to ensure their proper and accurate function in the event of a fire and their safe storage within a building. 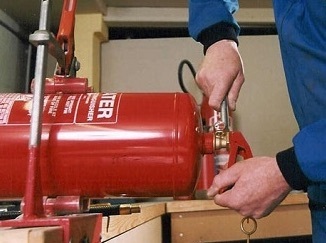 All extinguishers must be given a yearly basic servicing and when they reach their life expectancy of either five or 10 years, and must undergo an extended service and recharge. Cambridge Risk Management Ltd take this service and responsibility seriously and we are very meticulous with our maintenance and security testing to ensure that our clients are protected at all times. We have experience of installing and maintaining high quality security and fire systems for commercial and industrial customers throughout Cambridge and the surrounding counties and also UK Wide, at very competitive prices. Contact us now to book your fire extinguisher servicing and sales on 01223 900241. You will also need to make sure that you have the right size and weight of fire extinguisher as well as the right kind. You can read more about the current UK extinguisher regulations here.